A unique collection of fine homes set in and around the rolling green fairways of a championship golf course. Gallagher‘s Canyon is a unique collection of fine homes set in and around the rolling green fairways of a championship golf course, an executive golf course, several greenspaces and a spectacular canyon. It consists of single family homes and semi detached “townhouses” varying in size from just over 1200 sq. ft. bungalows, with 2 beds and 2 baths to estate homes over 5000 sq. ft. Come and see why Gallagher‘s Canyon has been voted the “Best Residential Community” in all of the Thompson Okanagan region several times. It’s unique mix of beautiful homes, open spaces, unmatched amenities and peace and quiet, only 10-15 minutes from downtown Kelowna is unmatched in the Okanagan Valley. 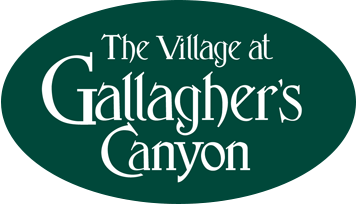 Nestled on the edge of a canyon, beside gorgeous regional parkland across from Layer Cake Mountain, Gallagher‘s Canyon proudly offers resort-style living with its outstanding variety of year-round amenities for the whole family to enjoy. Please take some time to visit our website and explore the many reasons why Gallagher‘s Canyon is not only a wonderful place to live, but offers some of the finest Okanagan and Kelowna real estate available today. The people that live at Gallagher‘s are a varied group. There’s young families, mature families, retired couples, singles, working couples, and semi-retired executives. People who have lived in the Okanagan Valley for years and those just discovering it’s charms. And when it comes to interests, it can span the spectrum from golfing and tennis to bridge and wine tasting. It can be a challenge catering to a group as diverse as this. The one thing they have in common, is their appreciation of quality, from the custom homes and townhouses to its outstanding location. We are pleased to be able to offer such an outstanding group of individuals some of the finest Okanagan and Kelowna real estate available today. ©2019 Bo Knows Homes. All Rights Reserved.